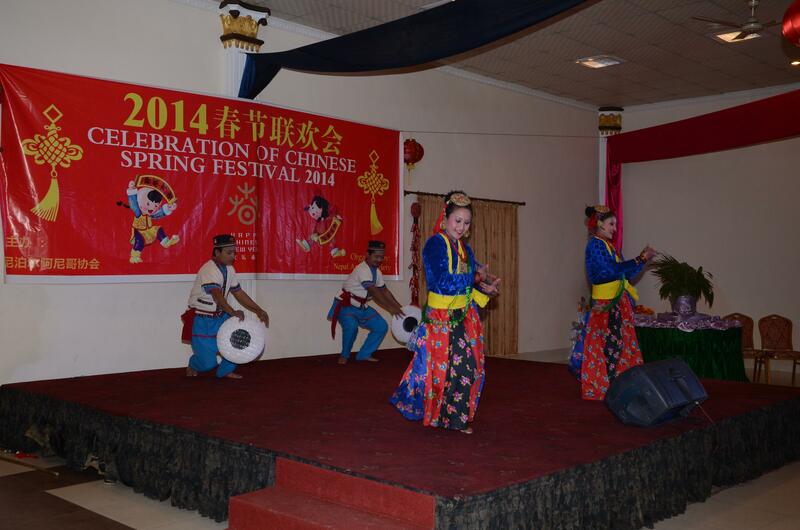 On January 20, Chinese Embassy in Nepal and Arniko Society of Nepal co-organized the Celebration of Chinese Spring Festival 2014. 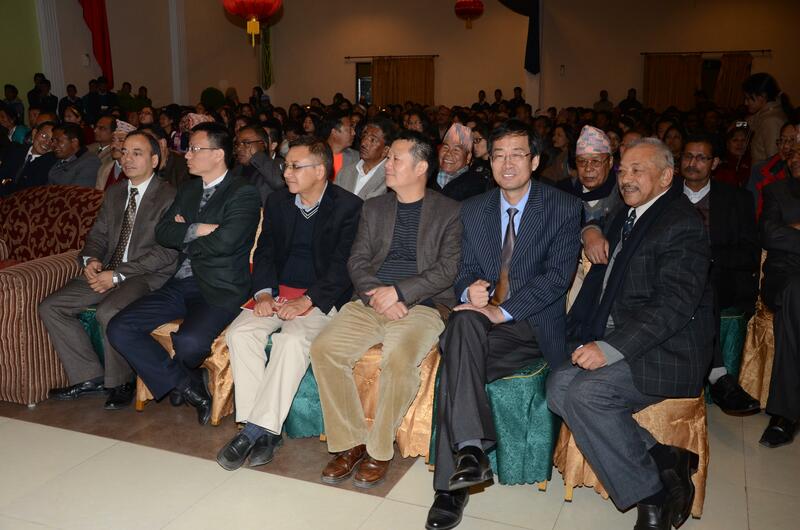 More than 400 people including Ambassador Wu Chuntai, Minister of Culture,Tourism and Aviation Mr.Ram Shrestha, President of Arniko Society Mr. Sarbo Ttam Shrestha, President of Nepal-China Culture and Education Association Dr. Harish, Embassy staff, friendly organization representatives, Chinese institutions and volunteer teachers in Nepal attended the celebration. 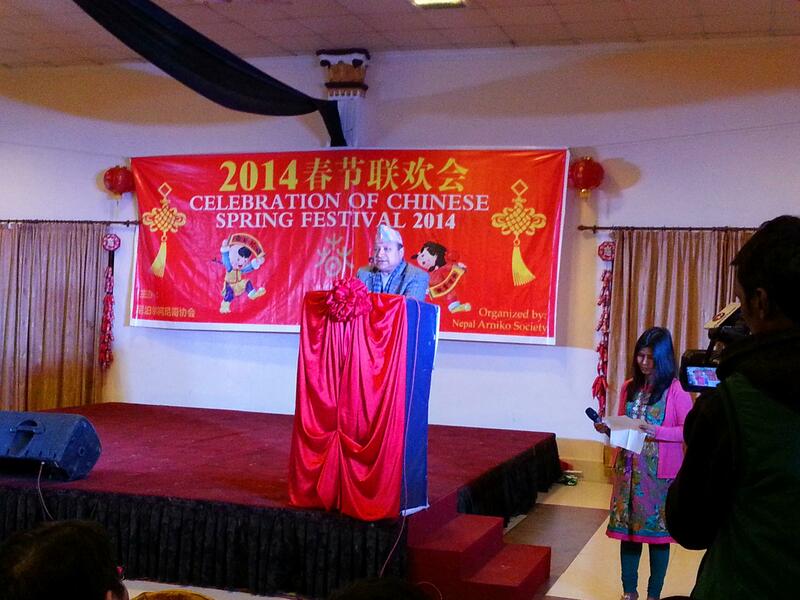 Ambassador Wu Chuntai and Minister Mr.Ram Shrestha made speech at the function. 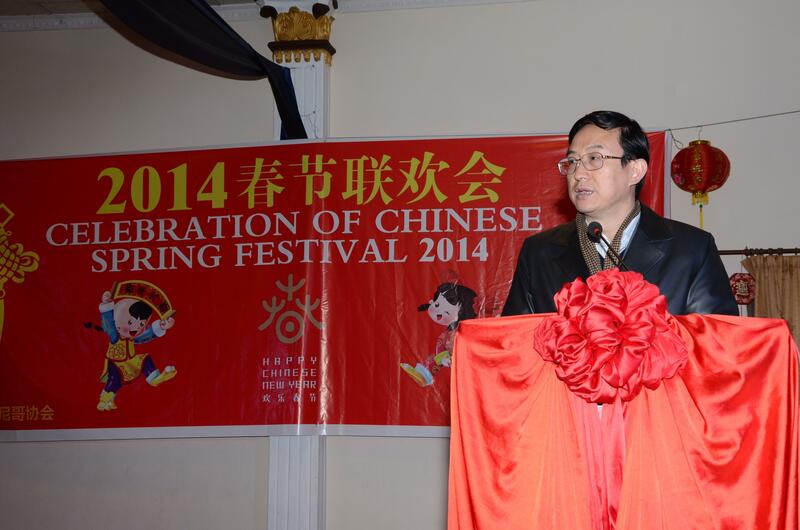 Ambassador Wu firstly thanked Arniko Society to hold Chinese New Year Celebration and extended New Year's blessing for a happy new year of Horse to the personnel in Chinese institutions and companies, overseas Chinese and friends from all walks of life in Nepal. Wu especially introduced the rapid development of China-Nepal relations over the past year. He hoped that all the patriots of China and Nepali friends who care about China's development continue to support China's progress and development, and make contribution to China-Nepal friendship. Minister Mr.Ram Shrestha in his speech sang high praise for the bilateral relations, and on behalf of the Nepali government to express heartfelt gratitude to China for giving Nepal selfless help for a long time.He also hoped the Chinese people to achieve more economic and social development in the coming new year and wished the friendship between China and Nepal last forever.